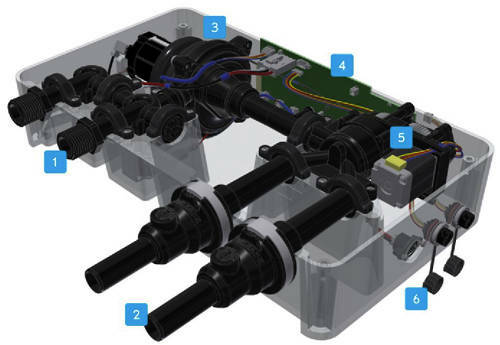 Crosswater Kai Digital Showers > Digital Shower Pack 06 With Remote (HP). 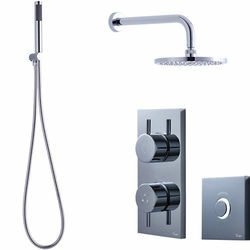 Kai dual digital shower pack 06 with remote control (for high pressure systems). 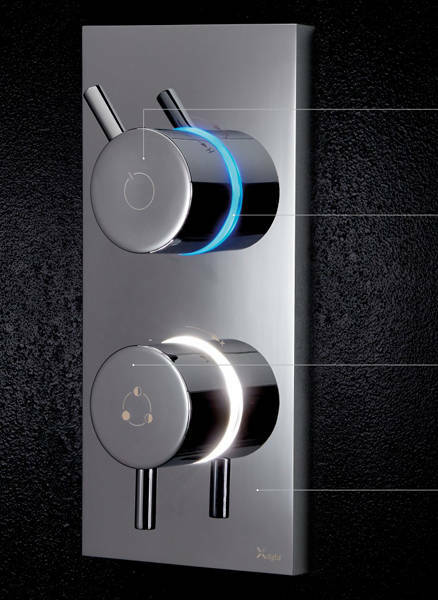 Contemporary digital shower controls with two shower outlets. 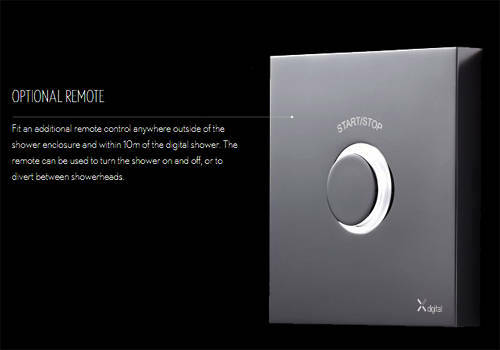 Remote control can be placed outside the enclosure or in bedroom to start the shower before you enter (can be installed anywhere within 10 meters of the digital shower processor unit). 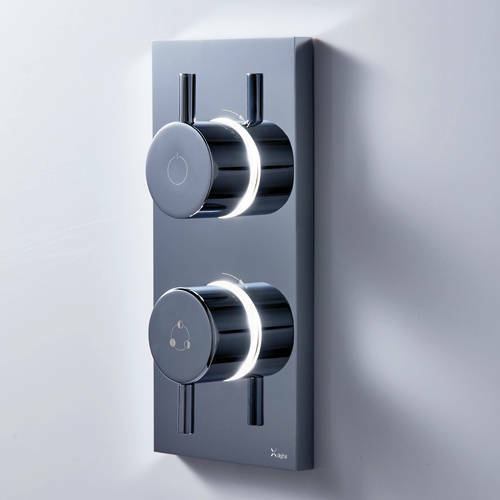 Divert the flow quickly and easily between outlets with just a few touches (press the lower control once to divert from the main showerhead to the second, and again to run both at once). 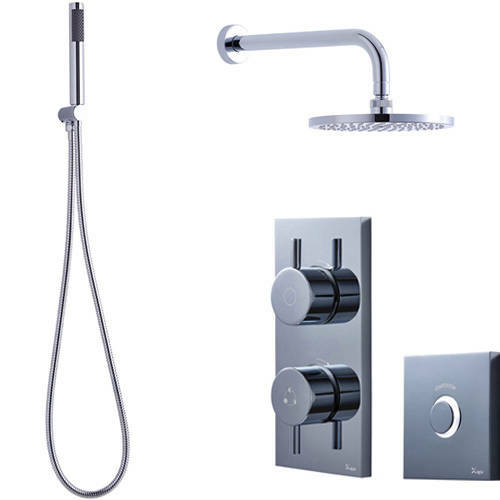 Shower kit: shower handset, hose and bracket with built in shower outlet (chrome).